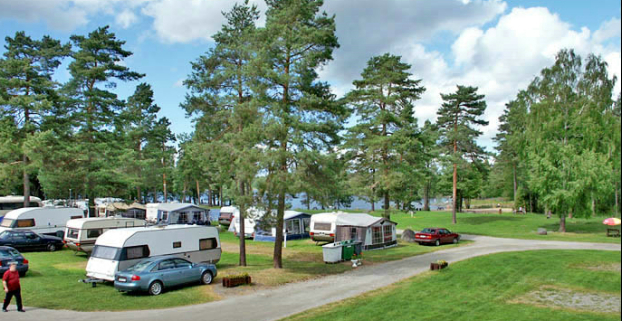 Family-friendly three-star campsite, beautifully situated on the shores of Lake Silvköparen. The campsite has 10 lovely camping cottages which are suitable for use by the disabled, and 70 camping pitches, of which 55 have electricity. Canoes and rowing boats can be hired. Playground for the children. Mini-golf, boules pitch and volleyball pitch. The campsite is adjacent to an open-air swimming pool with a large playing area. There are footpaths in the forests or you could try fishing. We also have a kiosk.